An original and consequential argument about race, crime, and the law Today, Americans are debating our criminal justice system with new urgency. Mass incarceration and aggressive police tactics-and their impact on people of color-are feeding outrage and a consensus that something must be done. But what if we only know half the story? 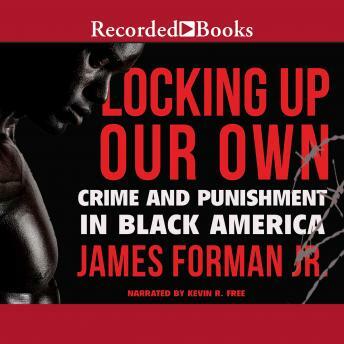 In Locking Up Our Own, the Yale legal scholar and former public defender James Forman Jr. weighs the tragic role that some African Americans themselves played in escalating the war on crime. As Forman shows, the first substantial cohort of black mayors, judges, and police chiefs took office around the country amid a surge in crime. Many came to believe that tough measures-such as stringent drug and gun laws and "pretext traffic stops" in poor African American neighborhoods-were needed to secure a stable future for black communities. Some politicians and activists saw criminals as a "cancer" that had to be cut away from the rest of black America. Others supported harsh measures more reluctantly, believing they had no other choice in the face of a public safety emergency. Drawing on his experience as a public defender and focusing on Washington, D.C., Forman writes with compassion for individuals trapped in terrible dilemmas-from the young men and women he defended to officials struggling to cope with an impossible situation. The result is an original view of our justice system as well as a moving portrait of the human beings caught in its coils. The book masterfully connects the historical dots with nuance, detail and compassion. In my opinion it also describes how some unsuspecting players ended up complicit in creating some of the mess we now have today. The information in this book will help anyone become a more informed debater at your next dinner or cocktail party when this topic comes up. Book was very informative on learning the history behind why black men make up the majority of prisons. It also elaborates on why how our government strategically uses different tactics trough law targeting to continue to impoverish black communities.